I have to finally accept that when it comes to herbs and spices I’m not exactly frugal. The way I keep finding packets of myrrh resin is proof positive in my mind that I’m solely responsible for the over harvesting of the plant (I have no recollection of ever purchasing that much myrrh is the scary part. I swear it’s around a pound. What on earth possessed me to buy so much?) I can at least say after several years of poverty this, purchasing every ounce of myrrh and all, is a dying habit. I know many of my readers just grow their own herbs and spices to save some money to this end. I don’t at this point in time and I am in good company. When I first posted this a reader noted they would like to see some suggestions for herbs and spices without having to grow their own. I drafted some stuff for my book concerning how to buy incense supplies (maybe that’s how I ended up with so much myrrh? No, that’s counter-productive…) on a budget. Despite my copious amounts of myrrh I’ve learned a few tricks with thriftiness behoove me more than just buying it when I can. Hopefully, you can apply these ideas in your life. –Check the grocery stores. Many herbs and spices used in witchcraft and incense are still used today to flavor food. –Discount stores, such as dollar stores, also sell many herbs and spices for a deeper discount. You may have to check for freshness, though I’ve found many discount stores supply the same quality as grocery stores. –If there’s a certain herb or spice you use more than others (or certain resins like myrrh) find where you can buy in bulk. Buying in bulk allows you to get as much as you need and more often a cheaper price. –Harvest it on your own. If you live in an area where it grows wild, get permission from the owner, and know exactly what is or isn’t sprayed you can collect certain plants in your own environment. I recommend keeping a book on identifying plants handy ( though bear in mind this isn’t fool proof for identifying plants. Many plants look similar so it’s easy to mistake that dog’s mercury for parsley, for example) and advise when to harvest a plant (some plants aren’t good until a certain time of the year). Don’t forget that harvesting it on your own also requires some discretion on your part. Over harvesting a plant means you may not get to harvest it at that place next time. Take only what you need. Bear in mind also that government property (such as a park) is off limits, period. If harvesting on private property be sure to clear it with the property owner, preferably in writing (and keep such writing handy). –Trade with a friend. You may find a friend has an excess amount of an herb or spice you want. If you have something in excess they want-say, myrrh-a trade is a viable option. –Sales are a great place to save. Just remember to check for the expiration date, defective, or possibly tampered product. –Buy only in small amounts if it’s a new herb or one you don’t use often. It’s common sense but it’s always worth repeating. Either way if something goes awry there’s no major financial loss. 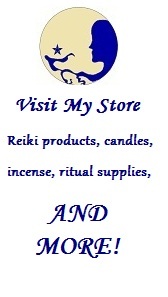 Categories: Budget Thursday | Tags: Budget Thursday, herbs, incense, Kemetic, NeoPagan, tools, value | Permalink. I know for this particular idea there must be a million and a half blogs that address this problem. Just the same I figured I’d address it because there are other reasons to be economical about shrines apart from financial ones. Someone may live in a space that doesn’t warrant a permanent shrine (I’ve seen this one more often than finances), or someone travels too much for a proper shrine, or a shrine may be too ostentatious and problematic for roommates / family / etc., and so on. Those thoughts in mind I think there are a few tips I can give. -Make a portable shrine. There are several tutorials and displays of portable shrines that someone can get ideas of how to create their own. I have one I made from a free meter pouch. -Use available furniture. This is a given, but one worth repeating. I’ve seen some folks use the top of a bookcase, book shelves, added shelving to walls, cabinets, end tables, and more. -Make a cyber shrine. Some people have created websites, some have used their blogs, and some use game accounts to set up a shrine space. The same ideas of concentration apply as before. -Get inventive, let go of your idea of how a shrine “should” look. Just like the portable shrines this doesn’t have to be intense, just have the basics. I have a portable shrine made from a meter pouch, but once had one from a cigarillo tin. The shrine that currently houses my Het-Hert statue was once a stand up jewelery box. It doesn’t have to be elaborate or impressive. It needs to be a sacred space. I’m sure these ideas also apply in many ways for those who have altars instead of shrines, which works for those who may be Egyptian Pagan or Tameran Wiccan. The biggest note to make is what works best for you and your life. Categories: Budget Thursday | Tags: Budget Thursday, Kemetic, NeoPagan, shrine, tools | Permalink. Admittedly I wanted to post a craft project, but it’s not going to happen. I hope to have it next week. In the meantime I realized when preparing blog posts that I’ve gone through all of my notes for Budget Thursday. I’m fresh out of ideas. I know, however, all my readers have their own ideas. So let me have it in the comment section. If you’d like to see an idea for Budget Thursday as a blog post leave it in the comments. Categories: Budget Thursday | Tags: Budget Thursday, ideas, Kemetic, NeoPagan, suggestions | Permalink. This is a question I find asked incredibly often by those who are either in search of an image of a hard-to-find deity or just don’t have the money (sometimes the two aren’t mutually exclusive. I’ve seen statues of hard-to-find deities that are quite pricey). Luckily there are very simple solutions to this problem that mostly depends on what you want to do with the image. Print off an image. If you really want to get creative with it I suggest modifying it so that it’s only the outline. This will allow you to color the picture as you wish. I found this link while scouring the web full of images ready to color. Make your own. This one is very pivotal on your resources. Sometimes making one from clay is easier. You can also make one from paper maché, just keep water away from it (or seal it). Draw an image. This goes back to printing off your own, but it allows for more control. I’m sure there are other ways to handle this issue. If you have an idea you’ve tried feel free to share in the comments. Categories: Budget Thursday | Tags: Budget Thursday, display, Kemetic, NeoPagan, shrine, tools | Permalink. I remember as a child elated to venture through the library and select my own books to read. I was fortunate to have parents that weren’t too concerned with what I checked out as long as it wasn’t full of adult content or practices of which they didn’t approve (which was usually arts and crafts, but that’s due to the inherent mess that came with it). Thanks to the convenience of the internet and bookstores it’s a resource most remembered when one is lacking an internet service at their home. Regardless, the library is still a valuable resource for one researching Ancient Egypt with little change to spare. –Most libraries are more than books and videos. Some libraries actually subscribe to various academic journals relevant to your research; this subscription may be available in a digital or physical format, sometimes even both. The catch to this is usually how available a journal may be. I have found many times in my searches that journals are considered a reference source so you may not be able to check it out. Should that be the case in your library, don’t fret. You can still sit down with the copy and makes notes as necessary. –Take advantage of the inter-library loan program. Many libraries engage in some form of inter-library loan program. Libraries that partake in these programs show you what’s available not only at the current library but other libraries as well. If you use it you retrieve the book and pick it up at your desired location. The drawback is you may have to wait a few days, but this saves on costs of transportation in the long run. –Don’t forget to behave (and make sure any kids behave as well). It isn’t a budget-worthy point, but it’s a nice point to make these days. Even though much of how libraries function has changed drastically some protocols for behaving have not. Many years ago it was considered improper etiquette to carry on a conversation at a normal volume since it’s disruptive to a reading environment. In the day of cellphones it’s easy to just take a phone out and proceed to converse without regard to your location. Some libraries have set up “no cellphone” zones due to this rampant problem. Keep your cellphone on silent or turned off. If you must speak on your cellphone move to an area where you won’t disturb others (this may even be outside) and keep it brief. Also, speak in a hushed tone. This is akin to what my elementary teachers taught as the “3 inch voice”, or speak as if the person is within 3 inches of you. –Beware of the food court. Some libraries also provide a food court in today’s world (I don’t understand it either). It should go without saying to avoid from spilling food or drink onto a library book. If you damage a book the library has the right to ask for recompense. –You don’t have to check out a book or other material. Many libraries accommodate for reading, just as they always have. You can come prepared to take notes, make copies, what have you and then place the reading material back into its proper place. Categories: Budget Thursday | Tags: books, Budget Thursday, internet, Kemetic, NeoPagan, research | Permalink. Let’s face it, the internet is a research source that people will most likely use regardless of how much money one has to spare. It’s fairly inexpensive, there are vast amounts of websites devoted to information on Ancient Egypt, and it’s easy to network with others to access such information. When trying to find accurate information online, one discovers new challenges: many people push their unverified personal gnosis –or UPG– as accurate and truthful as a whole; outdated information may be used; or information that’s outright erroneous. So how does one navigate the internet and find useful information? –Google Scholar is a helpful tool. There are a few useful methods, one which I learned while researching for an English essay back in college. I grew frustrated with the lack of scholarly sources the metasearch engines provided. Upon venting on a forum I frequented a fellow member suggested the scholar feature on Google. The scholar filter displays a plethora of links, though admittedly some scholarly sources are better than others. It links to some sites where you must pay to view the article (it seems there’s no escaping that), but many articles are available for free. I acquired several free .pdf files from several reputable institutions, like the Chicago Institute of Near Eastern studies. –Check the “shelf life” of the information. I will caution that some reputable sites still list some articles where the information is very dated. They list these not to “throw people off” as some would lead to believe. Egyptology is a field that changes very drastically, so what may have been held as a fact a few decades ago might be dismissed today. –Fact check with peers. A simple, though questionably effective, way to fact check are forums or social groups. Those who frequent such places often have many resources and knowledge they are willing to share. However not all sources are up-to-date, accurate, or even for a particular path for which you follow. This is where the aforementioned groups are double-edged. As long as there’s awareness of who follows exactly what path (which means paying attention or asking for clarification) a pattern should develop with certain practices. Understanding how other practices function and asking for sources is integral to weeding out some of the information. –Keep up with Egyptology. If consulting a religious forum feels too dicey, there are websites devoted solely to Egyptology. While it’s difficult to discern if JHotep1992 is really pursuing a degree in Egyptology, let alone possesses any real credentials, they may provide accurate information. That’s why I personally stick with resources from a college. Learning what’s accepted as accurate or scholarly is a boon for independent research. –Learn how to research. Another method includes analyzing as many materials as possible on the subject. In my first semester of college I took a composition course where we learned how to research topics. My teacher encouraged us to look at as many different reputable sources as possible from different authors. That way it would be easier to extrapolate the consensus on information and discern facts. It’s also helpful to educate yourself on the types of sources available. Categories: Budget Thursday | Tags: Budget Thursday, internet, Kemetic, NeoPagan, research | Permalink. I mentioned how second-hand bookstores can be intimidating for some. Those stores are child’s play compared to book rummage sales. The type of pandemonium that transpires is comparable I imagine to moonlight madness sales. I’ve experienced this from a salesperson’s perspective as well as the buyer. But fret not, because you too can survive with all your body parts intact with some of these tips. –Check out college bookstores. In case I haven’t mentioned it before I worked at a textbook store while attending college. The store held a yearly rummage sale and cleared out books where a teacher retired, or a particular book wasn’t suited for the course, or the professor simply wanted the latest edition. The rummage sale was a big perk, not to mention advantageous for research material. I was able to acquire many academic books on the topic of Ancient Egypt that ranged from everyday life to essays on the religion. Check your newspaper or the store’s website for dates and times. –Check out libraries. I learned also that my university’s library would also clear out books periodically. While I didn’t have much luck at the university library other libraries proved fruitful. –Get there early. Just like with any clearance sale, the sooner you get there the better books you may get. While better prices may occur closer to the end of a clearance the better books tend to be infrequent at that time. I’ve learned this the hard way. I have arrived close to the end of book sales, searched tirelessly through piles of books for several hours only to come out empty-handed. There is another issue to consider with book clearances: time. –Plan ahead. Scouring the racks for decent or relevant books is very time consuming. While it’s not likely to take an entire day to search through every spot for books it will certainly take a few hours. This can create a schedule conflict in your day. I recommend you plan accordingly, or if you have a bibliophile friend to make it a trip if you have engagements with said friend. –Be aware the entire stock isn’t out during a rummage sale. During a rummage sale books from various places and sections take days to bring out due to the accumulation over time. One day it may be an entire section of how-to books, then the next a stock of art techniques may fill the empty spaces. I’m not even certain calling and asking if a certain section will be available is even advised. People who work with books have to clear stacks of semi-organized sections at times, so it’s truly an issue of uncertainty from where a book is pulled or when. Conversely this is advantageous if the selection is poor on one day. –Find a silver lining. Spending hours looking may not provide anything despite early arrival. There are times when I arrived at a book clearance on the first day, scoured the books, only to yield no books. I don’t feel my time was always fruitless for various reasons. Sometimes my quests introduced me to a new bookstore, or a new friend, or even an employee who could defer me to places that provided better results. Sometimes the key to finding value for anything is to figure out what you wish to gain. Categories: Budget Thursday | Tags: books, Budget Thursday, Kemetic, NeoPagan, research | Permalink. When I had free time in college I devoted it to exploring my faith. I resorted to books often. Since I didn’t always have the money nor the transportation to trek to the other end of town I ventured over to the closest second-hand bookstore. At a fraction of a cost I owned a copy of a book. The lack of organization and the time necessary to peruse the store is intimidating for many. Here are some tips that will help navigate the second-hand bookstores. –Use the store credit. Second-hand bookstores get some stock from customers selling their books to them, and some will offer store credit. More stores tend towards cash reimbursement for books, but the idea is still the same. The purpose is to serve as an incentive to spend more in the store. It’s an advantageous one because it’s less money you have to scrape up for books. –Check the “shelf life” of the book. I feel this is a decent place to discuss the dangers of outdated books. While most are aware how outdated E. A. Wallis Budge is in Egyptology(most of his works were dismissed by the 1940’s) many of his books are still widely circulated. Some people feel the wide circulation lends credence to the validity of an older work, but more often than not it’s because it’s cheap to print and in public domain. I learned this costly mistake very early in my path when purchasing some books written by Budge. When I compared his writings to more up-to-date scholars I had to unlearn and re-learn information that didn’t always come at a bargain to my pocketbook. –Take advantage of national chains. Cautions aside, there’s also another issue I feel needs addressing. Many scholarly books were available to me because I lived in a college town. If you don’t live in a college town don’t feel discouraged. Some second-hand bookstores are also national chains, so if you can’t find a particular topic or book at one there is a good chance they can get the book from another store or even a warehouse. –National chain advantages aside, don’t ignore local stores. I have found through trial and error that not all second-hand bookstores are the same. -Check the world history section first. This is a no-brainer, but it’s important to check the world history section of the store. This is where the scholarly books will be kept if you’re looking for that information. -Check the New Age / spiritual section. There are an increasing number of books on Kemetic practices being published; some are even oriented towards modern practice. These books tend to be found in the New Age or spiritual section of the store, so if you can’t find what you’re looking for in other places that’s another place to check. -Some stores have a section for magazines. This is iffy at best and futile at worst. It really depends on what you want. If you’re looking for National Geographic issues, for example, you’ll find plenty. If you’re looking for scholarly journals it’s highly unlikely you’ll find one. -Be prepared to search. Despite organization into sections there’s little guarantee the section is coherently organized. You will have to search beyond skimming the shelves. Preparation is always important. If there are titles or topics you specifically want it will behoove you in your search. Categories: Budget Thursday | Tags: Budget Thursday, Kemetic, NeoPagan, research | Permalink. In Ancient Egypt the priests not only offered food, drink, and incense to the gods. They also provided many toiletries for the god, including bathing. However in this day many people who want to reconstruct the Ancient Egyptian rituals tend to include the aspersion jars, one called a nemset jar and another called a deshret jar. These can be quite easy to acquire, creativity depending. If you use aspersion tools in your ritual I’d love to hear in the comments your suggestions for penny-saving on these tools. Consider tea sets. While I don’t necessarily mean children’s playsets (though I’ve seen people use them), I do mean at least consider the creamer and sugar bowl. Make your own. This is probably the cheapest and easiest to do with clay that dries in the oven. This can be purchased at craft stores. Discount stores, the old standby. Well, it’s my standby. Discount stores offer lots of dishware at very low prices, and if choosiness isn’t your prerogative there are plenty of options. Use what’s available. Sometimes it isn’t possible to use anything else. If all that’s available are the coffee mugs in the cabinet, then it’s all that’s available and that’s fine. There are some supplies that are difficult to keep on an affordable basis. I personally feel for Kemetic paths this is incense. Some of it depends on convenience, some of it depends on the types of incense available, and some of it depends on what you’re willing to make. Not everyone has the time or resources to devote to creating their own kyphi, for example. –Grind non-combustible incense (e.g. loose incense) into a powder. This provides better control of how much you use and burns more even. It also stretches resins like frankincense and myrrh further and thus saves a considerable amount of money. -Use incense sticks. While this is better for the pocketbook it isn’t without problems. Some brands have a lot of filler that makes it impure for ritual use, such as cow dung or even urine. There are brands that do not. The best way to know for certain is to ask the manufacturer. Short of that there’s an old rule I go by: when in doubt, don’t. –Use cone incense. The same filler problems that occur with stick incense also occur with cone incense. -Burn incense only as needed. This is much easier to accomplish with combustible incense, like incense sticks. Simply burn the incense where needed and extinguish it so it doesn’t burn the entire time. With incense you’re going to need an incense burner as well. There are a few that will accommodate for both stick and incense, but if you use non-combustible incense this becomes problematic. -Purchase incense burners that burn multiple combustible incense. These are relatively easy to find as well as inexpensive. The versatility also promotes interchangeable use of cone or stick incense. I purchased one for a dollar at a grocery store. –Make your own burner using a bowl. When I worked at a Chinese restaurant the owners had a small shrine where the incense burner was a bowl of rice. They simply burned the sticks upright. I have found when copying this method that it works for charcoal and cone incense as well. I have used salt because it’s more accommodating for charcoal burning in my experience. Categories: Budget Thursday | Tags: Budget Thursday, Kemetic, NeoPagan, offerings, shrine, tools | Permalink.